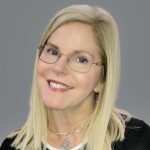 As the call for effective migraine treatment gets attention through events like Shades for Migraine Day on June 21, a new migraine treatment has quietly been granted approval for in-home use by the Food and Drug Administration. 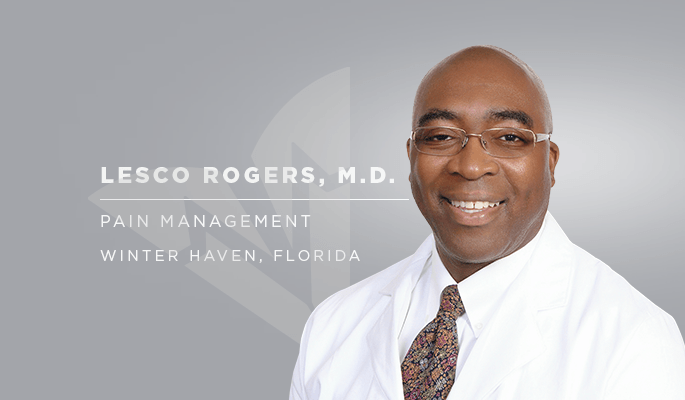 The trial’s medical director, Lesco Rogers, M.D., is a pain management specialist at Physician Partners of America Pain Relief Group – Winter Haven. Rogers led the triple-blind clinical trial for the device over three years at Duke University while serving on its Anesthesia and Pain Management department faculty. The device is called a ThermoNeuroModulation Device or TNM. The FDA granted approval in March 2018. Eighty-one study participants in the United States and United Kingdom reported that the device cut the number of migraine days in half – from 7 or 8 days a month to about 3 days – and they used less medication. This new migraine treatment does not use pain medication, which can make headaches worse. It is instead based on an old technique known as caloric vestibular stimulation. “The technology has been around for 100 years, using warm and cool water instilled into the ear canal to diagnose brain injuries and balance dysfunctions,” Dr. Rogers said. This new migraine treatment consists of a headphone style device connected to a desktop controller. Through the programmed controller an electronic signal leads to the delivery of warm and cool currents to the ear canal. It aims to provide minimally invasive and drug-free treatment for home use, under physician direction. While the next phase of the study continues, Dr. Rogers treats migraine in other ways. In his role as a pain management physician, he takes a multi-disciplinary approach and stays on the cutting edge of available treatments. “Migraine is a stress-driven process. If you’re predisposed to it and add stressors, you need a complete plan to treat it,” he says. That includes being proactive, such as eating a healthy diet, getting plenty of sleep and handling stressful situations more effectively. Anti-nausea and anti-inflammatory medications taken before the onset of a migraine are also helpful in patients who typically get one to two attacks per month. “People often make the mistake of waiting until it’s too late,” Dr. Rogers says. The newest class of medication, an antibody therapy, is also showing promise. For severe, more frequent cases, epidurals, occipital nerve blocks and occipital nerve stimulator implants are possibilities that that can be discussed with a pain specialist. One type of drug that does not work is opioid painkillers. They create a rebound headache and can lead to addiction. “You’re taking something that helps you but as you take more, the headache gets worse,” said Dr. Rogers. He and Physician Partners of America specialists offer a range of migraine treatments that do not include opioids. A native of London, Dr. Rogers earned his Bachelor of Science at Lehman College, City University of New York, New York, N.Y. He received his medical degree from the Dartmouth College Geisel School of Medicine in Hanover, N.H. He completed his internship at University Hospital, New York Medical College, Westchester County Medical Center, New York, N.Y. He completed his residency, becoming chief resident in anesthesiology, at the Robert Wood Johnson University Hospital in New Brunswick, NJ. He followed this with a fellowship in interventional pain management and anesthesiology at Georgetown University Hospital, Washington, D.C. He served as a faculty member of the internationally renowned Michigan Headache and Neurological Institute, and the Duke University Pain and Palliative Care Clinic. What Should I Do for Knee Pain After Surgery?